With fresh powder hitting the slopes in Colorado and Wyoming already, the ski season is kicking off at our favorite resorts and lodges across the United States. From Vail to Jackson Hole, America’s top ski destinations offer travelers wide open spaces and crisp, clean air, as well as cozy lodges and glamorous resorts to return home to after a day on the mountain. As a growing number of destinations are selling multi-mountain passes that give access to a wide reach of terrain (Alterra’s new Ikon pass will compete with Vail’s Epic by covering Big Sky, Alta, Deer Valley, Aspen, Jackson Hole and others), it’s helpful to understand the differences between the best places to ski in the US. when you are planning a winter getaway. Whether you’re traveling with beginners or experts, après-ski mavens or off-piste enthusiasts, this is your ultimate guide to where to ski, where to stay and what to know. Contact Indagare to plan a trip to one of the best places to ski in the US. Our expert team of trip designers can match you with the right lodges and resorts, as well as arrange meals at top restaurants and special experiences. The quieter counterpart to Wyoming’s Jackson Hole, Big Sky, Montana has western charm, wide-open spaces and truly stunning, peaceful landscapes. Ski Scene: Big Sky Resort is a hidden secret of the American ski world—vast and uncrowded, it offers nearly 6,000 skiable acres for all skill levels and attracts a stylish but low-key set. 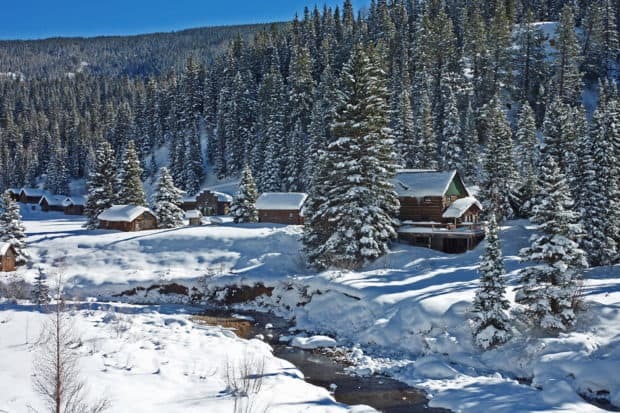 Indagare Tip: For the ultimate family getaway, The Ranch at Rock Creek can organize a day of crowd-free skiing and snowboarding at the Discovery Ski Area, an under-the-radar gem known as “Disco,” followed by an outdoor barbecue and bonfire with the Ranch’s incredible head chef. 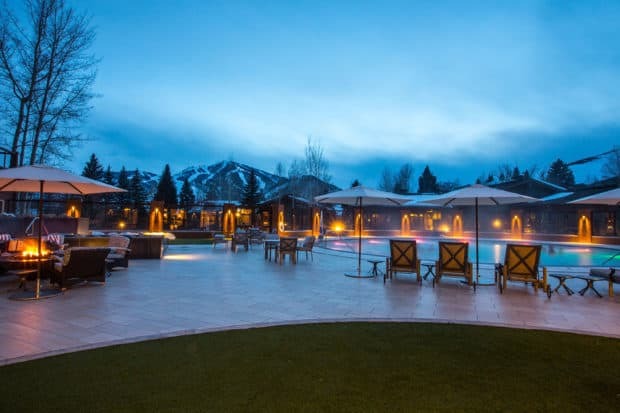 With the reopening of the Snowpine Lodge after an extensive renovation—including a new restaurant, an outdoor pool area, a spa and redesigned interiors—Alta finally has accommodations to match the superb quality and volume of its snow. Ski Scene: With a lack of snowboarders and some of the highest-quality powder in the West, Alta offers a traditional skiing experience akin to what can be found in the European Alps. Indagare Tip: Check out Alta’s next-door neighbor, Snowbird, for great powder and a craft beer at The Summit, the new food hall atop Hidden Peak. Known as “The Big One” for its vast expanses of difficult runs, Jackson Hole embodies the spirit of the Wild West, both on the slopes and off. The rustic local ski scene is punctuated by pockets of luxury centered around the top hotels, but although it has attracted a trendy crowd in the past few years, Jackson Hole continues to maintain a rugged, easygoing atmosphere. Ski Scene: With plenty of room and great snow (protected by the national park system), Jackson Hole caters to experienced, serious skiers; however, there is a reserved area for beginners and a lively après-ski scene to keep your whole group entertained. Indagare Tip: For a fun night out in downtown Jackson, go for a drink at the new 1950s-style boutique hotel hotspot the Anvil, then head to the Million-Dollar Cowboy Bar, which is just one block away, for a little square dancing. 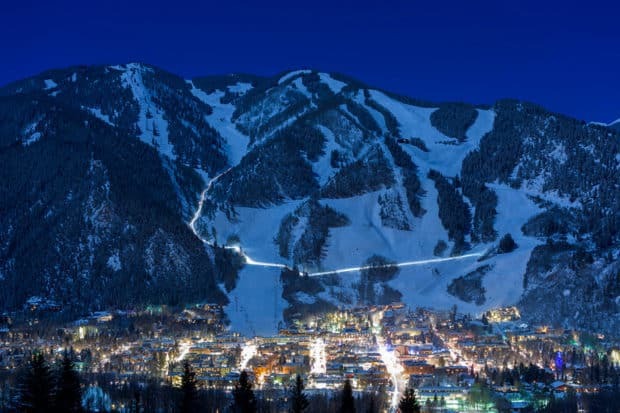 With designer shops, luxury hotels, high-end restaurants and serious ski terrain, Aspen is the glittering crown jewel of the see-and-be-seen ski destinations. Ski Scene: Aspen’s four mountains—Snowmass, Aspen Mountain (Ajax), Aspen Highlands and Buttermilk—offer an array of terrain for every skill level. Advanced skiers should head to Highlands, while beginners and families with young children should stick to Snowmass. Indagare Tip: For the quintessential Aspen après-ski scene, head to Ajax Tavern at The Little Nell. As the most well developed ski resort in the U.S., Vail is a diverse destination that offers something for everyone, making it a perfect choice for multi-generational families and large groups. In addition to the wide variety of skiing experiences available, there are plenty of high-end hotels and restaurants to choose from, as well as a buzzy nightlife scene. Where to Stay: Four Seasons Vail, Hotel Talisa and Sonnealp. 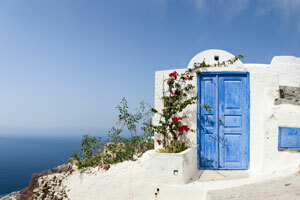 For a more private experience removed from the crowds, book the Game Creek Chalet or one of the Solaris Residences. Ski Scene: Vail has some of the most varied ski and snowboarding terrain in the U.S., as well as multiple ski schools. 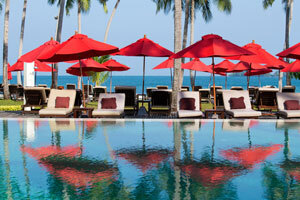 With the versatile Epic Pass, you can easily stay here for a week without getting bored. To avoid being overwhelmed (and especially for first-time visitors), Indagare recommends booking a ski instructor for the beginning of your stay to help you navigate the right trails for your skill level and skip the long lift lines. Indagare Tip: Don’t miss a cocktail and/or dinner at Matsuhisa, one of Vail’s most popular restaurants. A reservation is necessary. No longer a secret among well-heeled families, Deer Valley is now often ranked as the top ski resort in the U.S. While Deer Valley is easily accessible and private and offers seriously pampering properties, it does not have a village to explore. 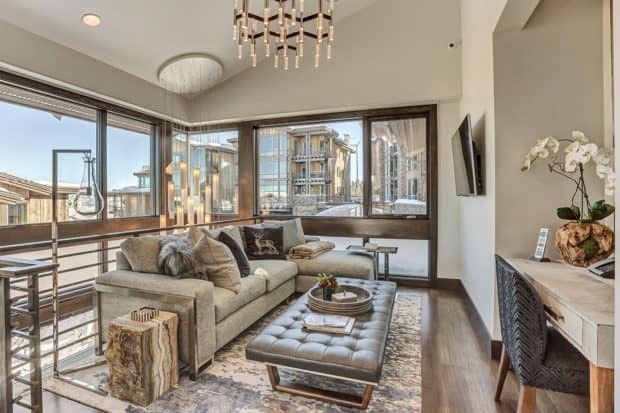 Those who desire a social scene can take the five-to-ten-minute drive to downtown Park City, which is home to the area’s best shops, restaurants and nightlife. Ski Scene: Deer Valley is a refined mountain (no snowboarding allowed) that offers pristine, uncrowded terrain for those who would rather ski than socialize. It also has an excellent ski school and is ideal for beginners. Those looking for greater variety can head to Park City, but here, you will also find crowds. 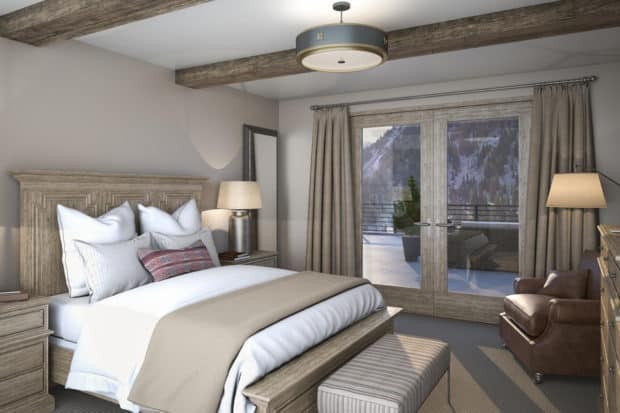 Indagare Tip: Opening in May 2019, The Lodge at Blue Sky from Auberge will be an exciting new addition to the Park City hotel scene. 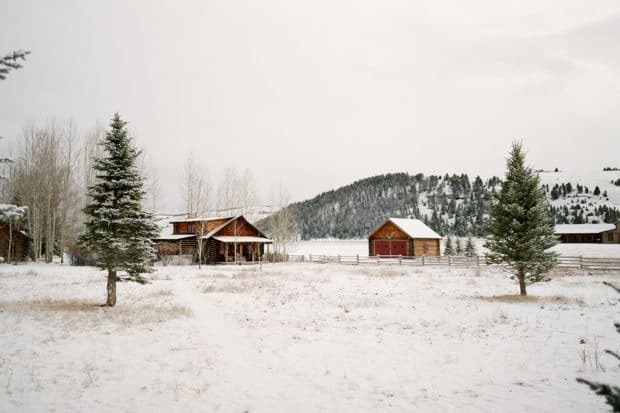 Set on a 3,500-acre ranch, the Lodge will provide a relaxing, remote escape to counter the action of Park City. Once a major mining town in the 19th century, Telluride today draws people for its scenic landscapes and Western charm. Well worth the journey to Colorado’s remote southwestern corner, Telluride offers world-class skiing without the crowds, as well as a lively yet unassuming après-ski scene. Ski Scene: Telluride’s low-key atmosphere, intense peaks and beautiful terrain attract die-hard skiers, but there is a breadth of options for all levels, including bowls, chutes, cliffs, glades and mogul runs. 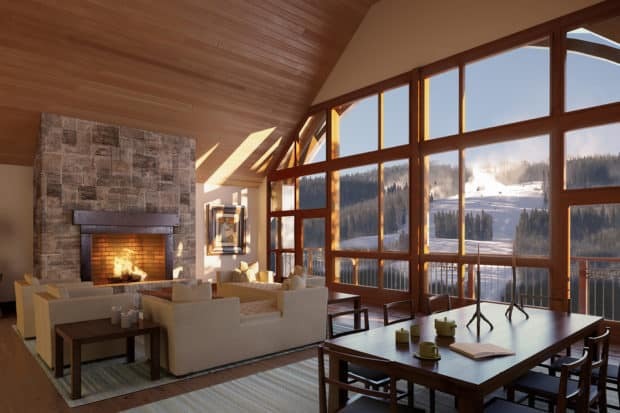 Indagare Tip: For an exciting add-on to Telluride, head three hours north to the gorgeous Scarp Ridge Lodge in Crested Butte, where you can enjoy exclusive cat-skiing on Irwin Mountain—or, if you love the pampering amenities of Deer Valley, you should try Beaver Creek. With a variety of mountains to choose from, as well as a gourmet food scene, Vermont is the best destination for a ski trip on the East Coast. 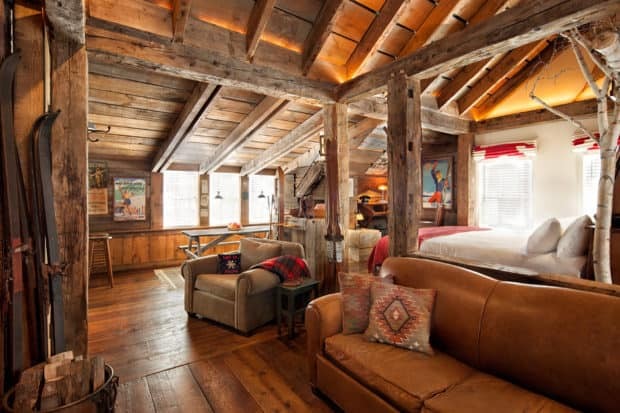 Though there is no shortage of charming properties, the incredible Pitcher Inn in the tiny village of Warren makes Sugarbush the Vermont ski spot of choice. Ski Scene: Deep in the Mad River Valley, Sugarbush is one of the largest and most varied ski resorts in New England, making it an ideal destination for groups of mixed experience levels. Indagare Tip: This season, Sugarbush is celebrating its 60th Anniversary. Go now to take advantage of a full calendar of special anniversary events. Established in the 1930s, Sun Valley was the very first winter destination resort in the United States. It was once the ski getaway for the stars of the Golden Age of Hollywood, including Judy Garland, Marilyn Monroe and Clark Gable—and today, it continues to draw visitors with its easy charm, old-school glamour, excellent slopes and natural beauty. Ski Scene: Open to skiers and snowboarders, Sun Valley offers a variety of terrain for all skill levels, as well as excellent powder throughout the year. The two main mountains to know are Bald (or Baldy) and Dollar (ideal for first-timers), and there are also themed “Adventure Trails” for children. After hours on the slopes, an après-ski cocktail at the historic Sun Valley Lodge is the perfect conclusion to the day. Indagare Tip: Like many others, Ernest Hemingway fell in love with Sun Valley upon visiting. He finished For Whom the Bell Tolls in Suite 206 in the Sun Valley Lodge and later bought a house in Ketchum, a charming town nearby, where he lived until his death in 1961. Today, the house is closed to the public; however, you can visit Hemingway’s grave in the Ketchum Cemetery, as well as his memorial site. Afterwards, stop at the Kneadery for lunch. Contact Indagare to plan a trip to one of the best places to ski in the U.S. Our expert team of trip designers can match you with the right lodges and resorts, as well as arrange meals at top restaurants and special experiences.